Highlights this week include: Best of the Best, Talent Quest, classroom info, School Hangi, pet day, sports draws and much much more! 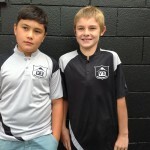 The beginning of the year saw the Home & School commit substantial funds towards the purchase of new sports uniforms. These have made our sports and performance teams look very smart as you can see by the photo.